These are our best range of Dress Shirts. 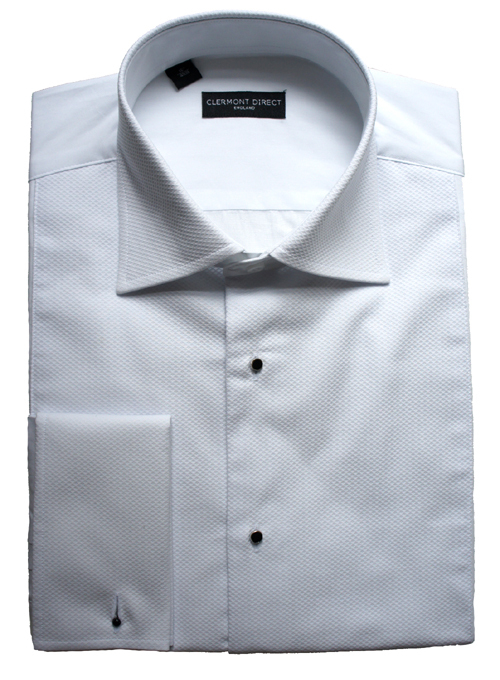 Made from a fine 100% white cotton, this marcella fronted shirt is both soft to touch and very comfortable to wear. This dress shirt has a marcella or pique covered front, collar and cuffs to offer a most distinguished and quality looking dress shirt. I was so impressed by the wingtip marcella shirt that I deci ..